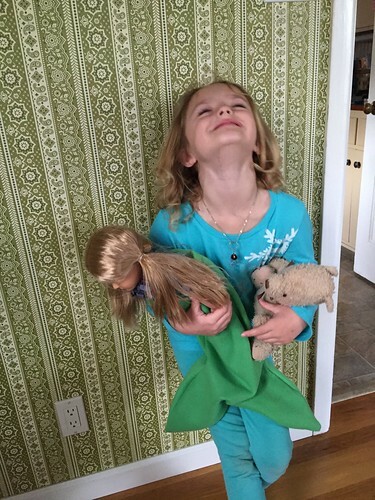 My daughter got an American Girl Doll (equivalent) for her birthday. She is LOVING it. 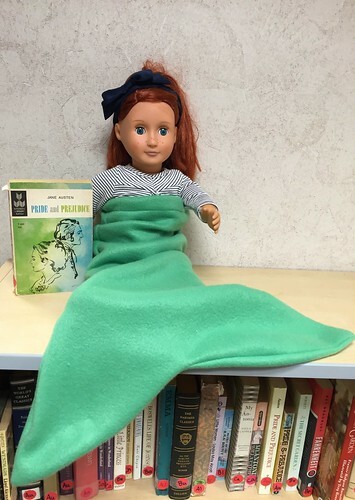 One of the most popular things in our house (and, on the blog) is her mermaid tail snugglie. So I thought I should whip one up for the new doll too. It was quick and easy and a BIG hit – so here is the pattern. 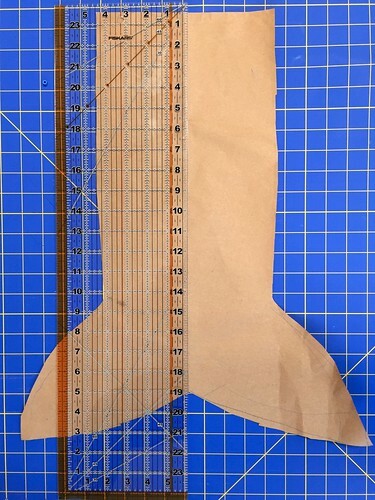 Here is a neat fact – this mermaid tail can be made out of the scraps from cutting out the full size tail. So if you buy the fabric for the “big” tail, you can do both! Draw your pattern on the paper. 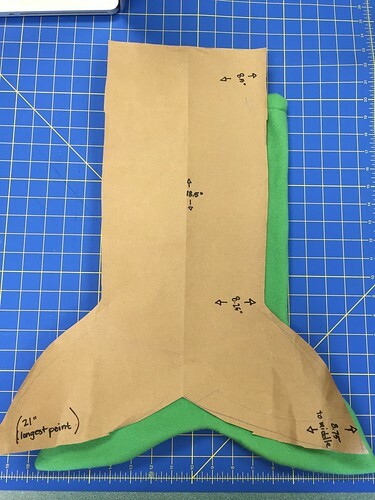 Pattern note: the tail shape is pretty wide all the way down because the doll’s feet are flexed and they will need room to be in the tail, even at the “thin” part. 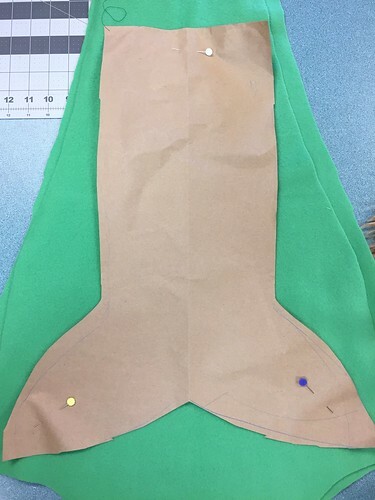 Here are the measurements written out on the pattern. 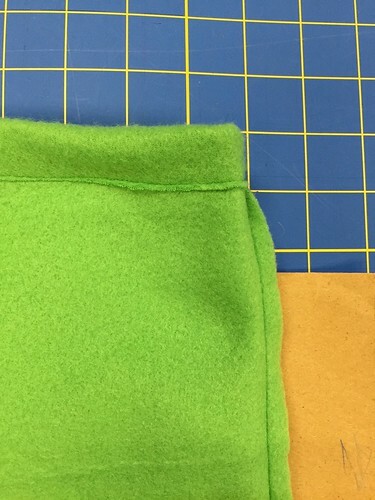 Take two pieces of fleece and lay them down together, (or fold the one piece in half), place the pattern on top, and cut it out. With right sides together (if there is a right side) sew the edges. I used 1/2 inch seam allowance. Around the top opening, turn under about 1″ as a hem. Turn the tail right side out, and push the corners of the tail out to “sharp points”. I gave mine a quick steam so the tail part had a more pronounced shape. I hope that your tail is successful and met with the same joy! 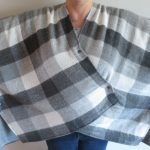 3 years ago by Susi in Crafting with Kids , Crafts , Needlecraft , Projects , Sewing , Sewing Projects | You can follow any responses to this entry through the RSS feed. You can leave a response, or trackback from your own site.